Prior to the central government's announcement, EV components and parts imported for assembly here attracted an import duty of 15-30 per cent. In response to the repeated pleas and requests made by EV manufacturers and the Indian EV industry alike, the government has decided to reduce import tariffs on EV components. The notification issued by the government states that the EV parts and components imported to the country will now attract tariffs in the range of 10-15 per cent, lowered from the previous range of 15-30 per cent. The tariff reduction has come to fruition with the efforts of The Central Board of Indirect Taxes and Customs (CBIC), which has now created a separate category for parts and components for electric vehicles which will attract the lowered tariff rates. 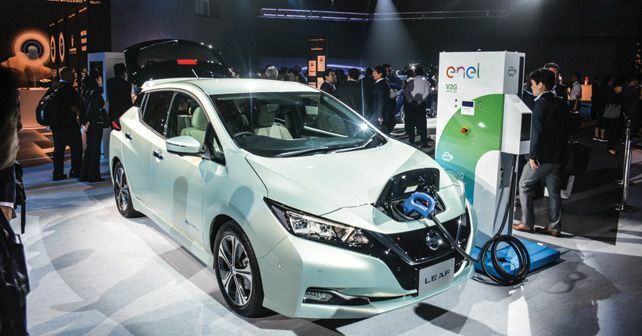 Not only will this aid the uptake of EVs in the country but will also bring the manufacturing costs down, which will allow manufacturers to pass on the benefits to the end-users. As the import duty has been lowered on the EV component along with CKD and SKD units, the government has not revised import tariffs on fully-built imported EVs, in order to promote the 'Make in India' initiative. As reported by SIAM, the notification states that CBUs of EVs will still attract 60-100 per cent duty for passenger vehicles, 50 per cent for two-wheelers and 25 per cent for trucks and buses, similar to those of conventional vehicles. While SIAM (Society of Indian Automobile Manufacturers) has lauded all these efforts, it has, however, asked the government to rethink its decision of raising the import duty on battery cells from zero to 5 per cent. While the government has made this move in order to encourage cell manufacturing in the country, SIAM officials have stated that due to the current absence of cell manufacturing in the country, the rise in import duty on battery cells is likely to make EVs more expensive to own.